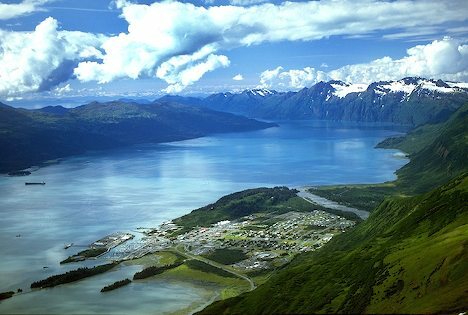 This Gold Rush town—located at the head of a fjord on the north shore of Port Valdez, a deep-water fjord in Prince William Sound. Whether you find yourself on land or sea, there’s always something to do in Valdez. Surrounded by the Chugach National Forest (the second largest National forest in the U.S.), Prince William Sound contains various tidewater glaciers including Columbia Glacier ( the largest tidewater glacier in South central Alaska), and Meares Glacier (one of two advancing tide water glaciers in North America). 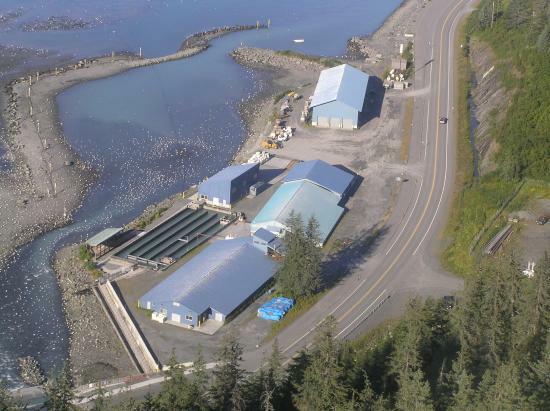 The Port of Valdez was named in 1790 by the Spanish Captain Senor Fidalgo. Due to its excellent ice-free port, a town developed in 1898 as a debarkation point for men seeking a route to the Klondike gold fields. Valdez soon became the supply center of its own gold mining region, and incorporated as a City in 1901. Tsunamis generated by the 1964 earthquake destroyed the original city, killing several residents. The community was rebuilt in a more sheltered location nearby. 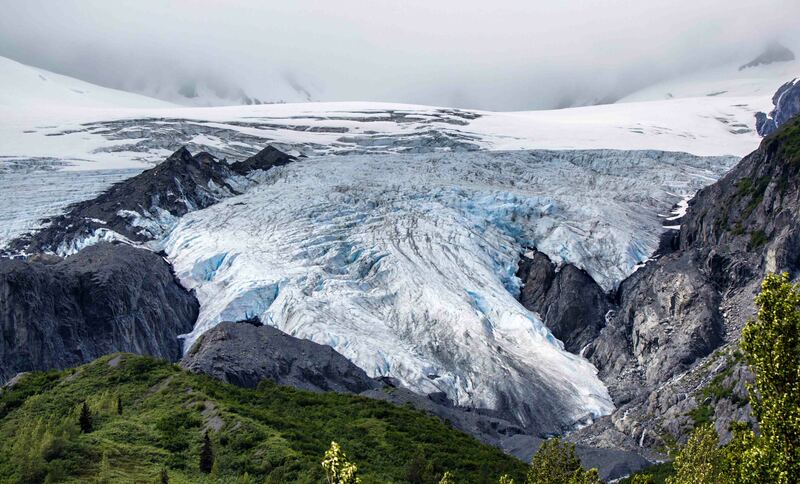 It has known as one of Alaska’s favorite summer destinations, as well as the #1 destination during the winter for extreme skiing. There are only a few hotels in Valdez. So you'll want to book your room at the same time as booking your trip with us at the lodge. Some hotels are better then others and offer more amentities then another one. We recommend two hotels that provide shuttle service from the airport to the hotel. Best Western Hotel and Mountain Sky Hotel offer this. Of the two, we recommend the Best Western since its location is directly on the harbor and provides easy access to loading and unloading from our boat. You can also rent a car from the airport for a day and have them pick up the car at the hotel when your done with it. Renting car will allow you to access some really neat area's that surround the area. 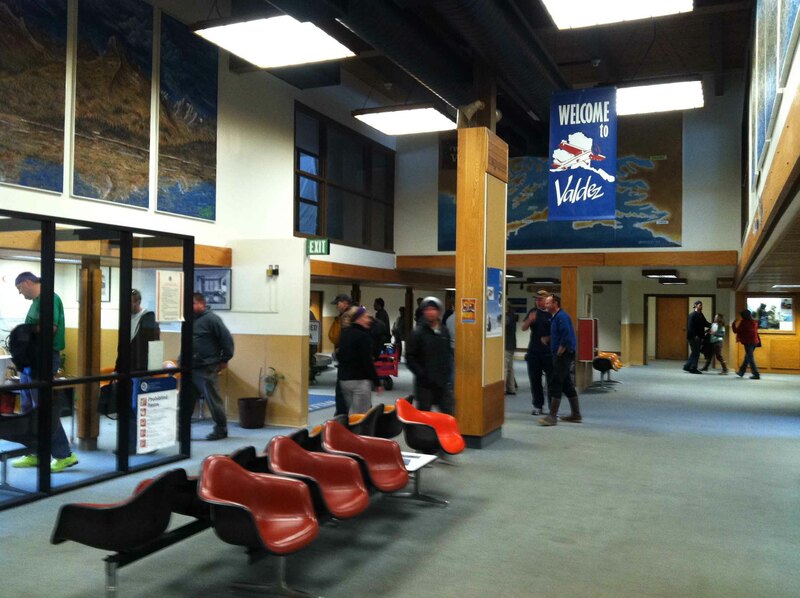 The Valdez Airport is host to one commercial company that has regular flights into Valdez. But time tables on arrivals and departures change throughout the week. The company is called RAVN Alaska and here is a link to their time tables. And they do partner with most other airlines. 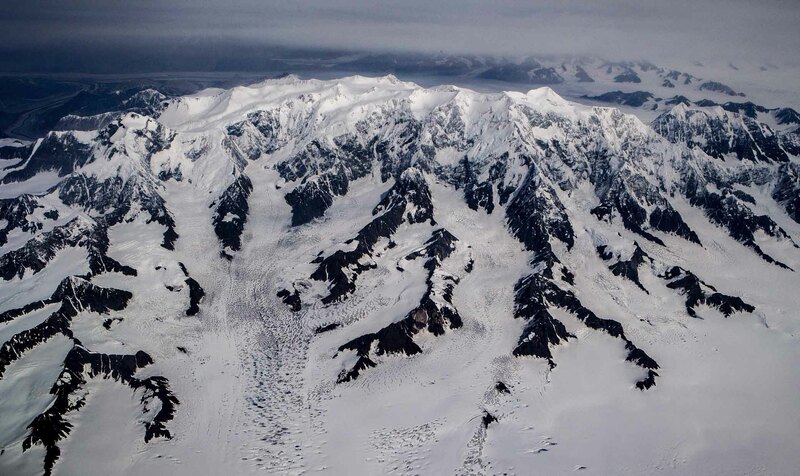 The flight from Anchorage to Valdez is a short 45 minute flight and the views are beautiful. 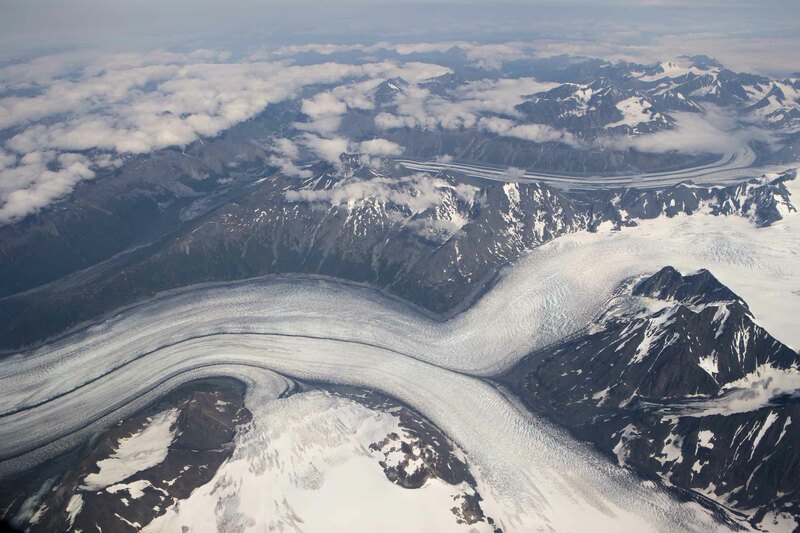 Most days your fly over Columbia Glacier, giving you an unparalleled view of her reach across the mountains. 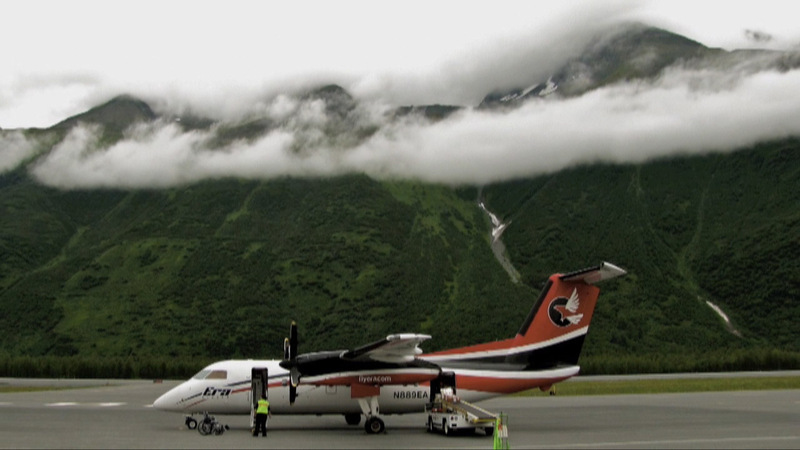 Ravn Air is the only company to offer regular scheduled trips to Valdez, AK. There are only a few flights per day. Click below to see time tables. 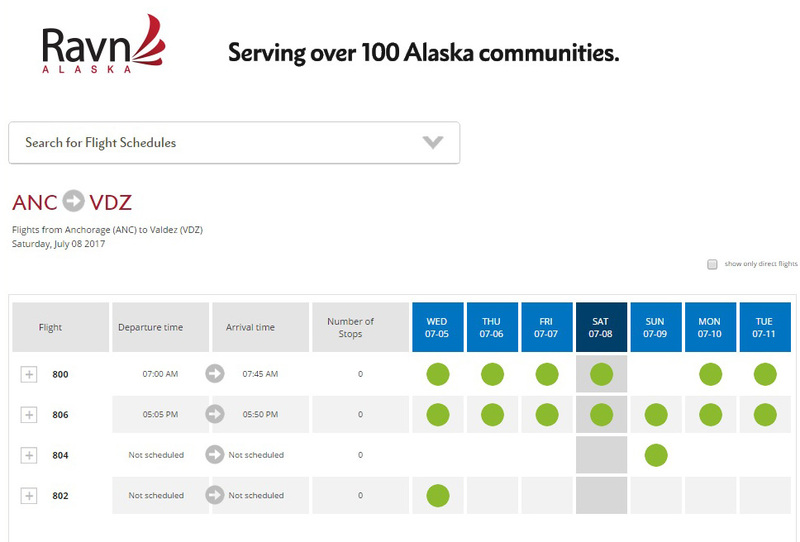 Almost all commercial flight companies work with Ravn and automatically connect flights from Anchorage, AK. 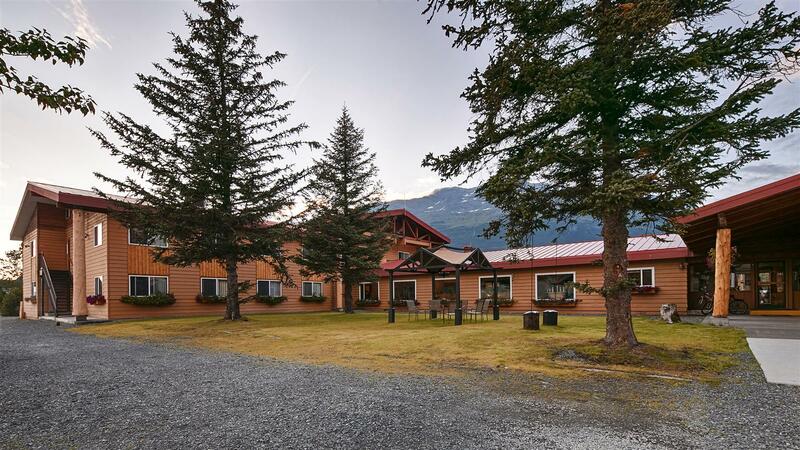 This is your best choice when finding a hotel to stay in while visiting Valdez. They have a shuttle to and from the Airport for its guests. There is restaurant and bar located in the hotel. Its location is also great, allowing eash access for our guests to bring their luggage down to the boat where we pick you up. You are also close to other restaurants and tourist shops. Please see the link here to The Best Western. About 20 mins outside of town you’ll be greeted by towering canyons and cascading waterfalls at Keystone Pass. 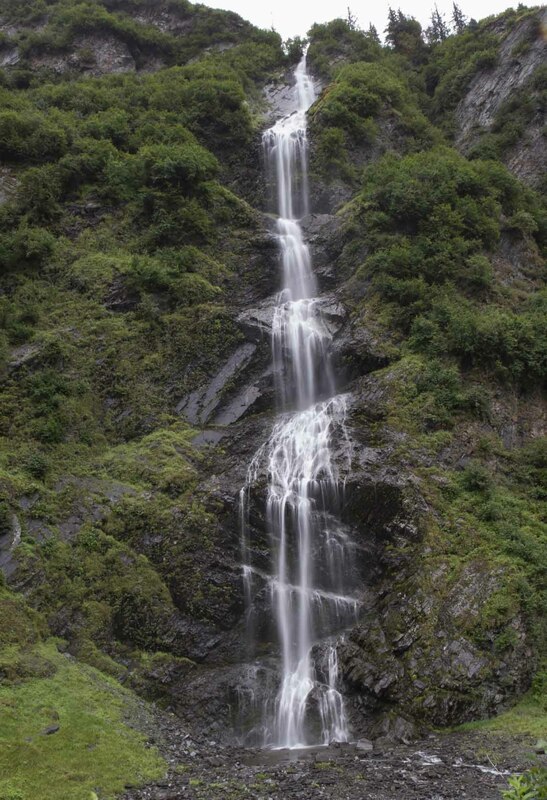 Proclaimed as one of “America’s Most Scenic Roads” and known to Alaskans as the “Adventure Corridor,” the drive to Valdez to Anchorage provides breathtaking views of glaciers, waterfalls, towering mountains and incredible scenery. The picturesque Glenn Highway and Richardson Highway converge along the nation’s largest national park — the Wrangell-St. Elias — holding nine of the 16 tallest peaks in the U.S.
Road-accessible bear viewing at Solomon Gulch Hatchery, operated by the Valdez Fisheries Development Association Inc. 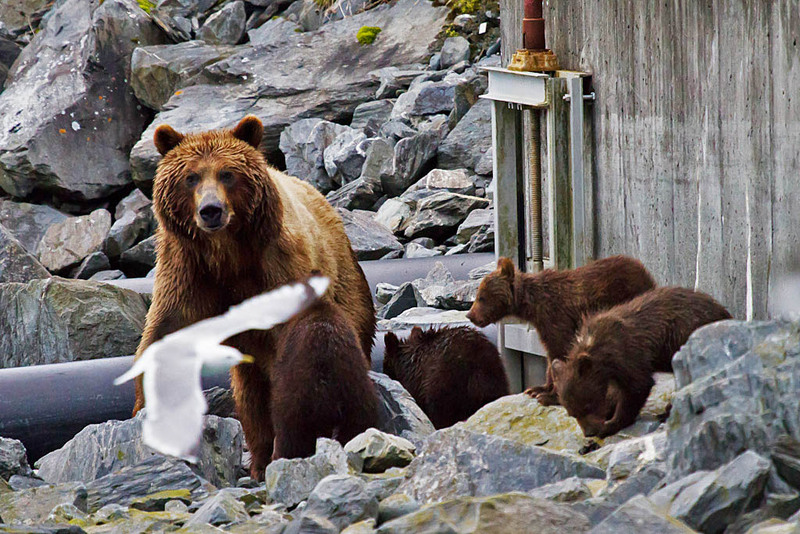 Unlike the other locations in Alaska, bear viewing sites along Dayville Road, a few miles south of Valdez, are accessible to private vehicles. 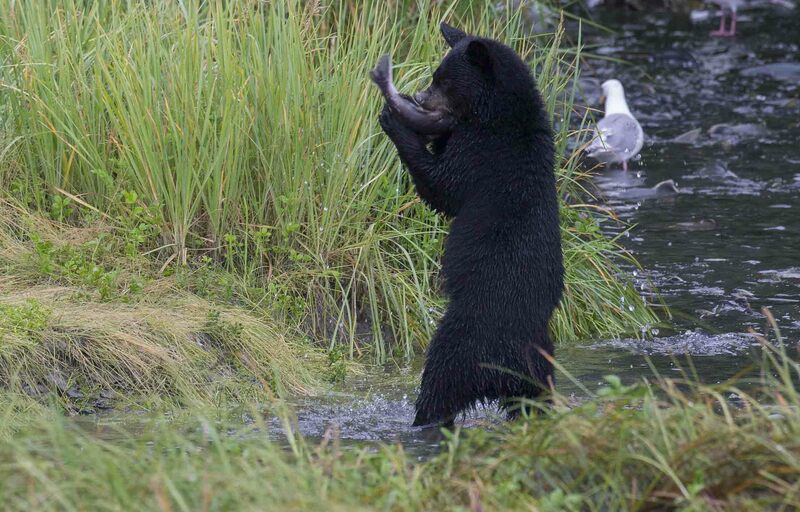 A dozen or more brown and black bears are frequently seen fishing for salmon in several streams near the road. Dayville Road connects Valdez with the trans-Alaska Pipeline terminal. The road skirts close to the Valdez Arm shoreline, crossing several small streams that support runs of pink salmon in mid-summer. 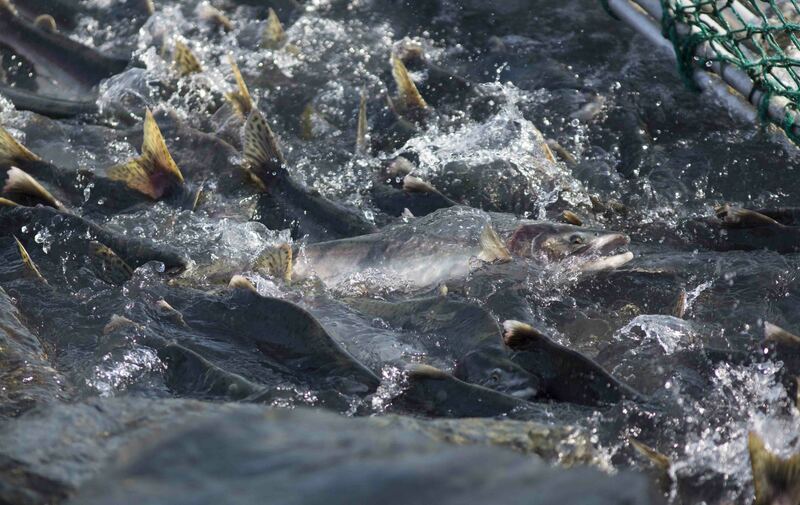 One of the most predictable sites for bears is the Solomon Gulch Hatchery, which has the earliest run of pink salmon in the vicinity. 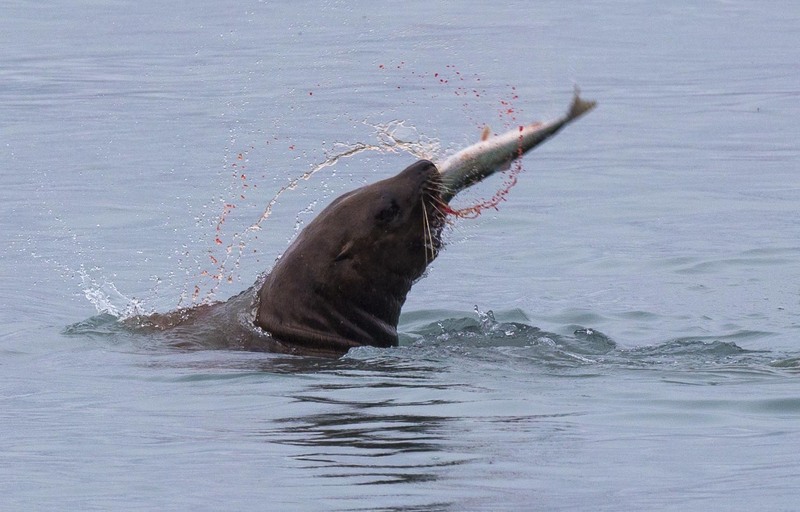 Alaska's authority on Shark diving and snorkeling adventures. 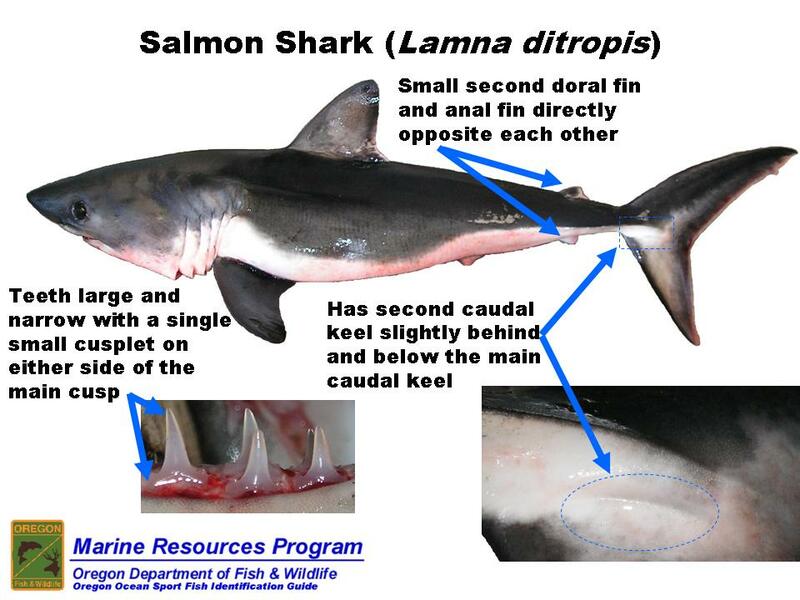 Experts getting you amazing photo's of wild animal below and above!